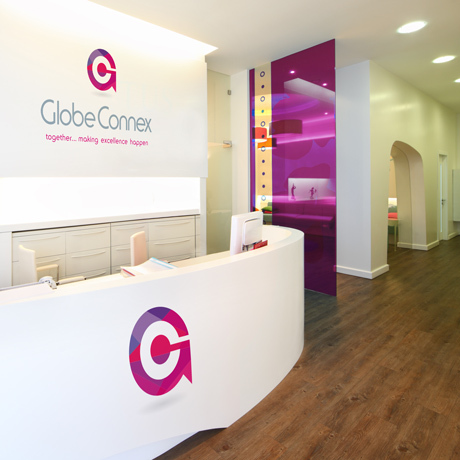 Brand identity design and copy writing for new corporate tagline for Globe Connex. 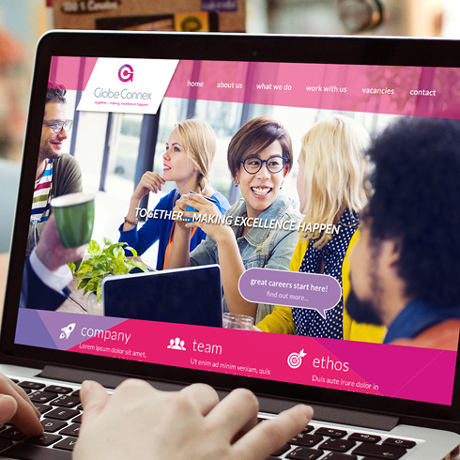 GlobeConnex are a division of management software company Globetech. The company provides software management solutions to coordinate large scale events worldwide such as the Tour de France and 2012 London Olympics. In addition it works with large blue chip clients such as Apple Computers, providing outsourced project team recruitment. Forza! 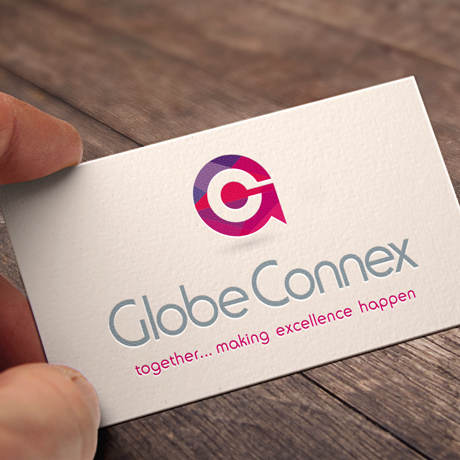 were asked to create a new brand identity for GlobeConnex which is to become a dedicated division within Globetech, specialising in project team management services to large multi nationals. A new brand tagline was also a requirement, highlighting the company’s reputation for working with its clients to achieve world class standards/results. 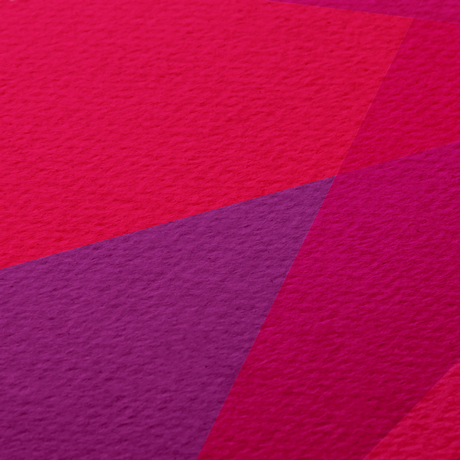 The end result was a vibrant, modern brand execution, paired with a tagline that was both inclusive and confident.